It’s been six months since the nightmare coach you’d hired on the fly has even stepped foot in your gym. After hearing the complaints from former customers—and reading them on social media—you decided it’d be better to be understaffed than poorly staffed and sent him packing. But even though he hasn’t been with your gym for quite a while, the bad reviews on Yelp and Facebook keep popping up. And the ones that were written months ago aren’t going away, either. It’s getting harder and harder to get customers through the doors…but you don’t have the coaches to work with the people that are already there. Even the good coaches are overworked, so a lot of things are slipping through the cracks. Meanwhile, you’re trying to stem the bleeding by working overtime, trying to take on these additional coaching roles on top of running the business. How do you break this awful cycle? 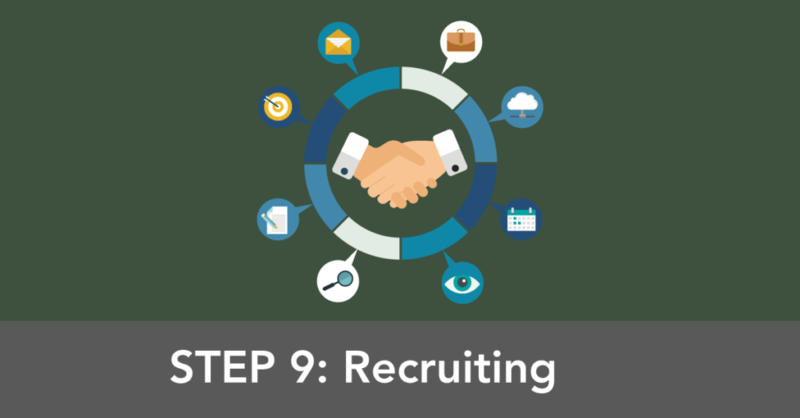 In today’s blog, I’m going to show you nine steps you can take that’ll solve your biggest hiring challenges. You’ll learn how to put systems in place to recruit, hire, and grow your staff. Building a team of great people takes time, patience, and support–but it’s well worth the effort. That’s because the experience your coaches and trainers create for customers is what you’re selling. In other words, your staff IS your brand. Follow these steps, and you’ll have happy clients, increased revenue, and a thriving business that will help more people and make a bigger impact in their lives. 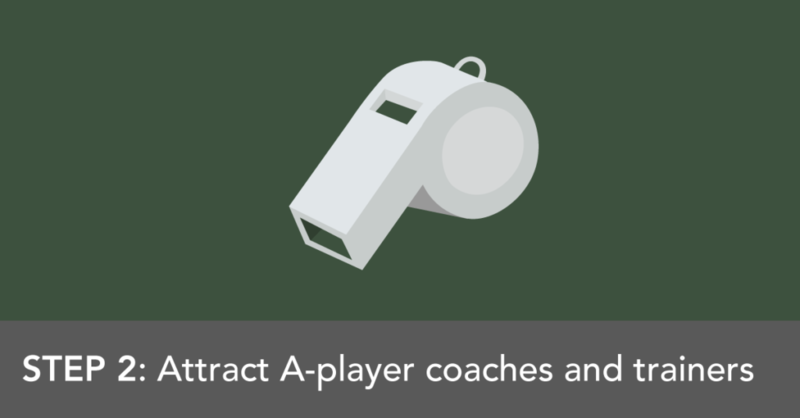 Want to find A-player coaches and trainers? It starts with getting very clear on what exactly that looks like. Take out a sheet of paper and start jotting notes. Start with your gym’s values and culture—or the culture you’d like to build. What are your core values? Clearly defining them will make it much easier to find staff in alignment with those values. Which populations does your gym serve? Are there any specific niches or training needs that coaches should be able to accommodate? You can hire staff with experience in those areas as long as you are clear on what you’re looking for. Additionally, there are some general qualities that apply to all top performers. Skilled and knowledgeable in all aspects of coaching. That includes core competency in not only assessment and program design, but also life coaching and nutrition. These skills will ensure that customers have a positive experience, and that coaches can make appropriate adjustments to help them get fantastic results. Good communicators. This doesn’t mean they have to be the life of the party. Good coaches listen more than they talk. They should, however, be able to build connections and trust with customers so that they have a positive experience. Great with people. Can they be personable and friendly, no matter who they’re working with? This is a great skill that can smooth over issues and help your staff solve problems as a team. Calm under pressure. Coaches sometimes have a lot on their plates. Find ones that are up to the challenge. Motivated self-starters. Running a business is hard enough without having to micromanage staff or take time out of your busy day to motivate them to do their job. Driven to succeed. A-player coaches and trainers will proactively take personal responsibility for any issues that come up and make improvements themselves. Coaches that will help grow your business will create an amazing experience for customers. And the first step to hiring them is being very clear on what you’re looking for. 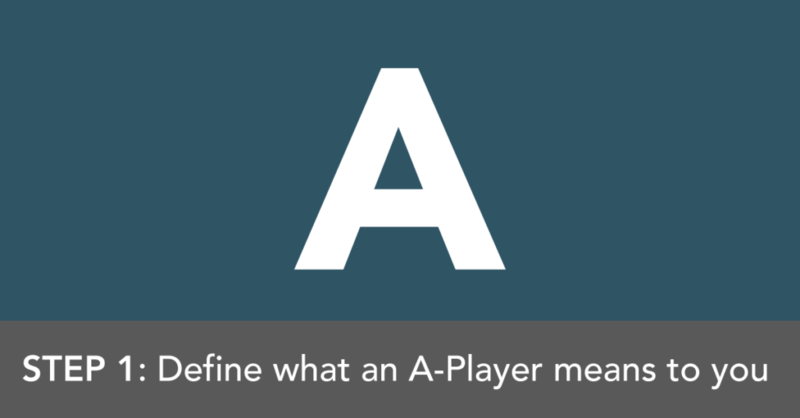 So you’ve identified exactly what an A-player is for your business. Now you need to find them. And you need to start attracting them to your business now, even if you’re not hiring at the moment, because these things can change at the drop of a hat. The best way to attract prospective staffers is to let people know that you’re either currently hiring or plan to hire in the future. You can mention this to your client base in person. You can also connect with local colleges and universities. A “career opportunities” page on your website and Facebook page is a great place to not only list current positions, but also mention that you’re open to speaking with people who are interested in future openings. Link to this page on your social media accounts and in your client newsletter. There’s not much of a point in attracting prospective staff if you’re not going to capture the information! Make sure to collect their information on your website. Add them to a database (just as you would prospective clients info). That way you can continue to communicate with them over time. Beyond that, you’ll want to have a system in place to add contact information for anyone who you’ve met offline or has emailed you directly. 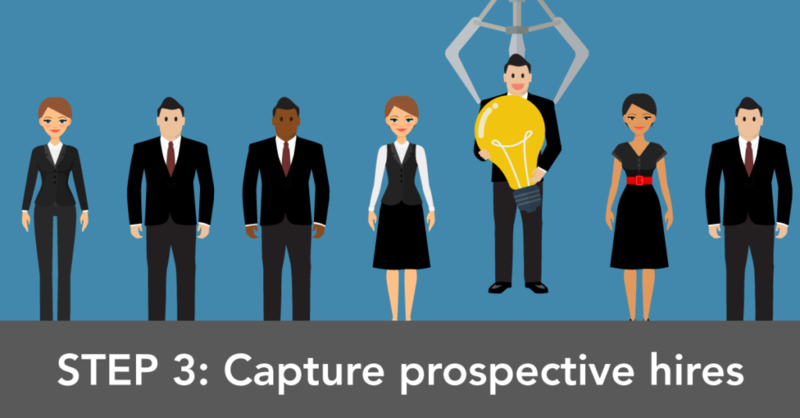 You’ve done the hard work of attracting prospective hires and capturing their information. You’ve even set up systems to automate some of this work. Instead of letting the list collect dust in your filing cabinet, make sure to stay on people’s radar. 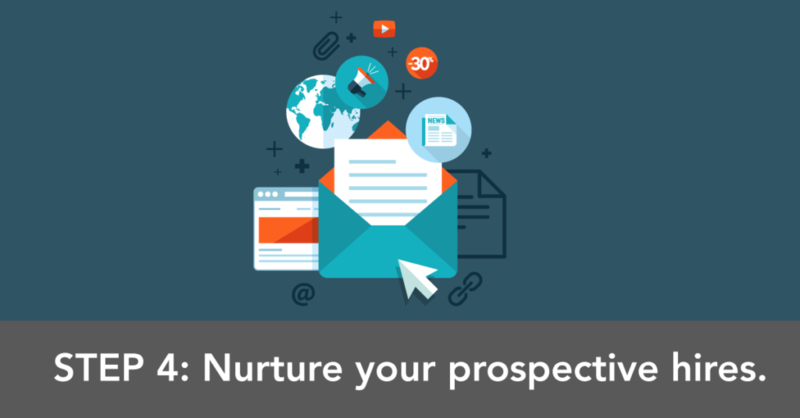 You can do this pretty easily by inviting them to workshops and events, or sending out a monthly newsletter with updates on what’s happening in your business (just like you would share with prospective clients). In his book Work Rules!, Laszlo Bock, SVP of People Operations at Google, explained that the company once interviewed candidates as many as 25 times. Then Todd Carlisle, a staffing analyst at Google at the time, pinpointed the exact number of interviews that could predict with a high level of confidence whether the company should hire someone. The magic number of interviews was four. A screening interview can be a simple 15-minute phone call with the candidates you’ve captured, where they’ll answer basic questions about their experience and why they’re interested in working at your gym. Funnel candidates that seem like a good fit to the next step. 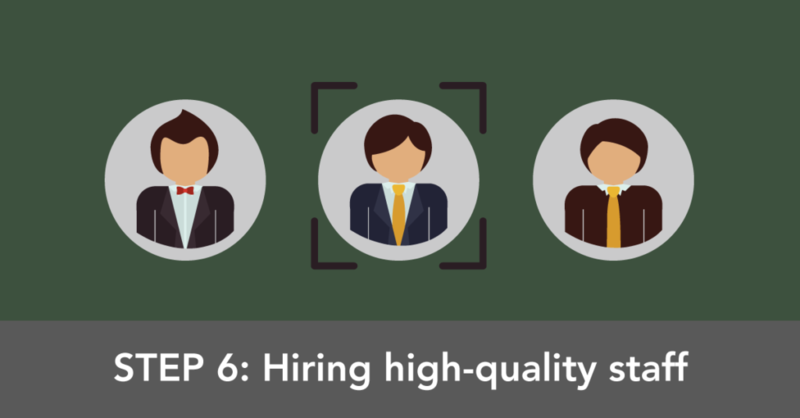 It’s a good idea to have regular group interviews scheduled each month, even if you aren’t in a hiring phase. If you are actively hiring, you’ll want to ramp these up to twice a month. Run the session like an orientation. Kick things off by sharing information about your company, its core values, purpose, and mission, and what it’s like to work there. Then you can answer questions, get to know prospects a little better, and even begin to evaluate them against one another. End the group interview by asking people who are still interested to send you an email with the subject line “I want to know more.” Then you can select the best candidates from those emails for the next step. If you’re not currently hiring, you’ll still want to keep a list of prospective hires that you like. That way you’ll have a large number of candidates to contact when you are hiring. 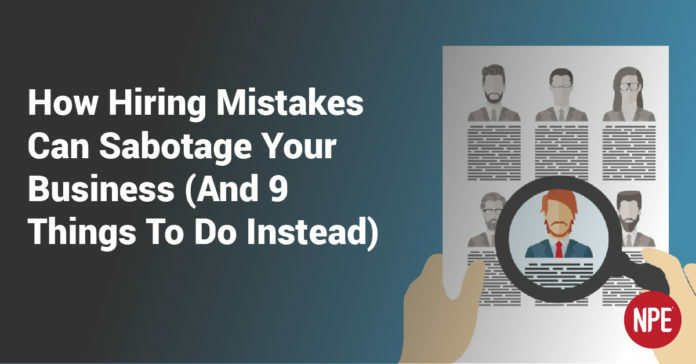 Otherwise, you might end up scrambling to hire someone and possibly making a bad decision. Scheduling these group interviews on a monthly basis will set you up for hiring success. A great way to evaluate candidates that have made it this far in the process is by scheduling an interview at the gym and telling them to bring their workout clothes. Then, ask them to design and take you through a workout “on the go” with no advance warning. This will help you evaluate their skills in assessment, programming, and coaching–but it’s also a great gauge of how they act under pressure. You’re not looking for perfection, but for people who generally make good decisions about assessment, and are good at communicating and coaching. And you’re evaluating character. Character is always revealed when people are put under stress. This is your “pressure test” to learn more about the candidate and how they will respond and handle the unknown. The final step of the interview process is some take-home work with a fairly quick turnaround. For example, you can give prospective hires two or three pre-written case studies and client scenarios, and ask them to write programs for those clients and email them to you within 24 hours. After this extensive interview process, you’ll have a very clear picture on who you’re interested in working with. Coaches that have passed all four phases of this process with flying colors have demonstrated that they’re skilled, motivated, success-oriented, calm under pressure, and good communicators. They should be a great fit for your business. After going through this entire process, you’ll see that it’s not exactly quick and easy! Retaining fantastic coaches and trainers will save you time and money, so make sure to set new hires up for success through a four-week onboarding program. With good training, they should be ready to go by the end of the month. Week 1: This is a great time for new hires to learn about your company. Teach them the story of your fitness business, including how the company got started. Make sure they learn who you work with, and how you differentiate yourself as a business. The first week of training is also a great time for new staff to familiarize themselves with any apps and tools they need to use, such as scheduling software. Week 2: The second week of training should cover role-specific training, such as how to greet clients, handling difficult clients, and any legal or policy-related rules. Week 3: By the end of the third week, hires should be well-versed in their new role and what is expected of them. Week 4: New coaches can shadow other coaches and be shadowed themselves to set them up to be on their own by the end of the week. 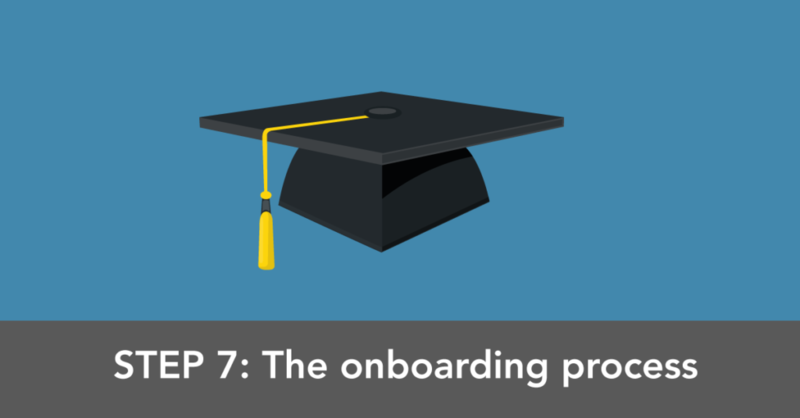 Onboarding new hires may only take a month, but improving in coaching skills is a lifelong process. The best fitness businesses are learning organizations, where staff members are constantly honing their skills. Put some effort into creating themes for each month or quarter for your staff to work on. This doesn’t mean that you need to run the training yourself every time! You can bring in outside instructors, watch a training DVD together as a group and then discuss it, or even have coaches on your staff prepare and deliver trainings for the team. If you’ve followed all these steps, not only will you have an entire staff of quality coaches, they’ll be coaches you can trust to help you with recruiting efforts. 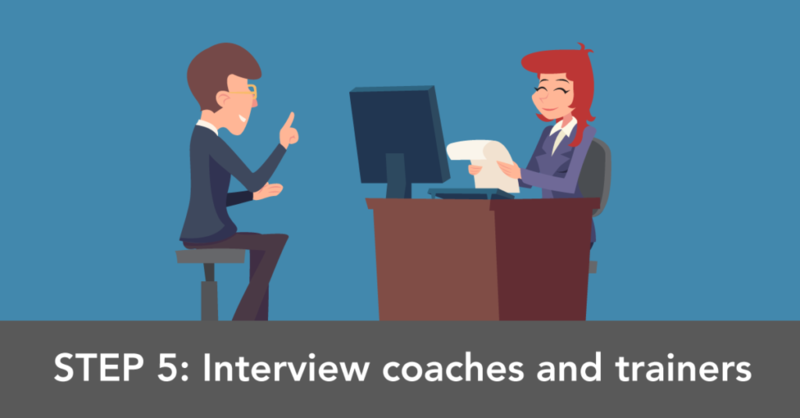 Not only will having them recruit for you save you money in many cases, it means you’ll be interviewing coaches and trainers that already come with a degree of trust from your current staff. A great way to motivate them to recruit for you is by offering a referral bonus. Consider setting up a 1000 bonus structure for your staff, offering 500 if you hire someone they referred, and an additional 500 if that person is still on your staff after a set number of weeks or months. In growing most Stage 4 and 5 fitness businesses, the limiting factor is NOT sales and marketing. It’s having a great team of coaches in place that can support your continued growth. 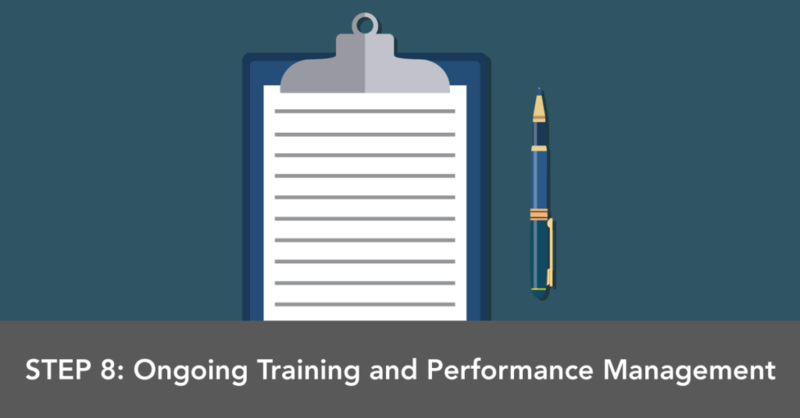 Have systems in place for recruiting, hiring, and onboarding new staff—and ongoing training and performance management for current hires—will keep things running smoothly. Building a great team starts with being aware of what you’re looking for, so you’ll recognize A-players when you see them. Follow the nine steps outlined in this blog and you’ll be well on your way to having a well-staffed business with high-quality coaches and trainers.